Every weekday I take a packed lunch to work. It usually includes a salad, hummus and vegetables, fruit, and a few crunchy snacks. Although I do vary what’s in it, by the time the weekend rolls around I’m ready for something different. This weekend, I decided to try making a wrap using eggs in place of bread. 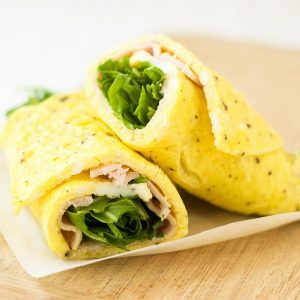 This turkey arugula omelet roll was the result, and boy was it tasty. 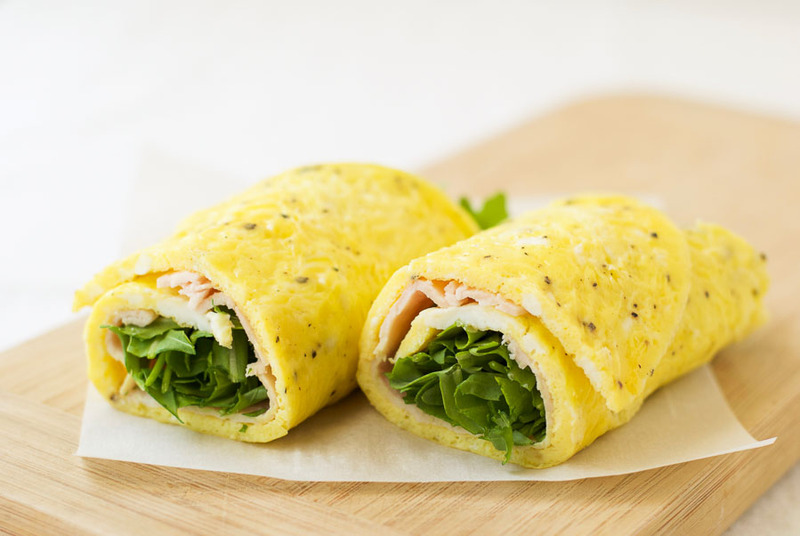 Just one of these turkey arugula omelet rolls contains a whopping 19 grams of protein. That is about the same amount of protein as you would find in 2 ounces of roast beef. The calorie count is just 173 calories, making it an excellent protein-rich snack, or a delicious lunch when paired with a salad. It is also a wonderfully child-friendly choice. You can let your children choose their own fillings and roll them themselves making them a fun, customizable lunch. And the best thing about them? They only take 10 minutes to prepare. What’s your favorite weekend lunch? 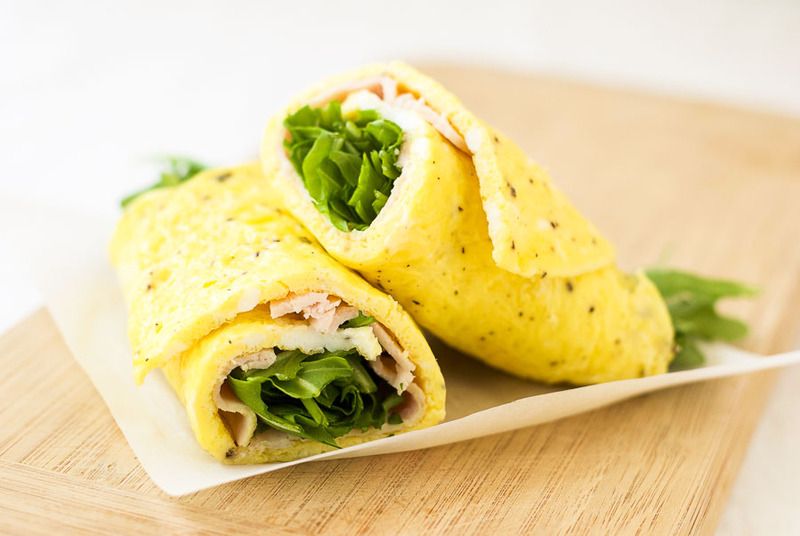 This 3-ingredient omelet roll makes the perfect lunch or protein-rich snack. Whisk the 2 eggs with a tiny sprinkle of salt and some freshly ground black pepper. Heat a skillet (frying pan) over a medium heat with a splash of oil. Add the eggs and cook slowly without stirring. Once the eggs are mostly set, gently flip the omelet and cook for another 30 seconds. Put the omelet on a plate and place the turkey and arugula on top. 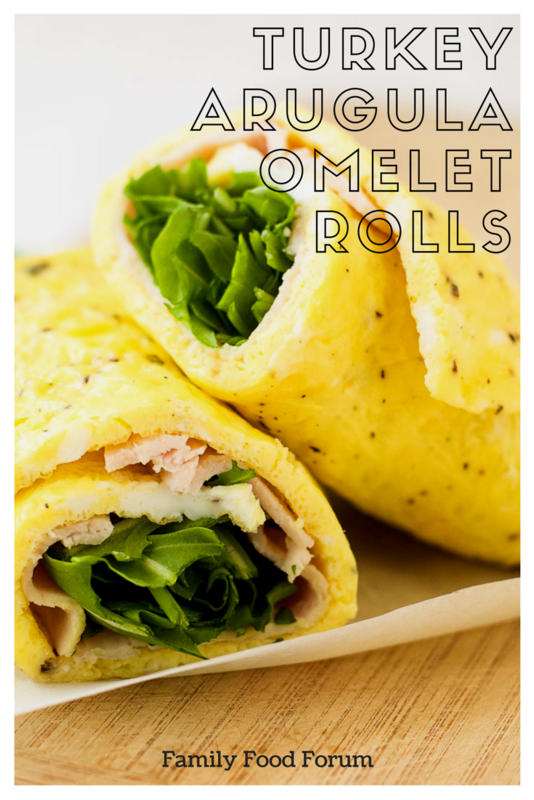 Carefully roll the omelet, cut in half, and enjoy. This looks delicious for any meal! A very healthy,nutritious roll!Great lunch idea. what a good idea as a bread substitute!